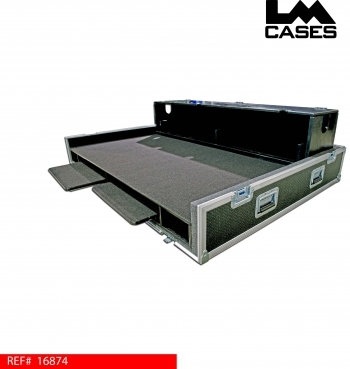 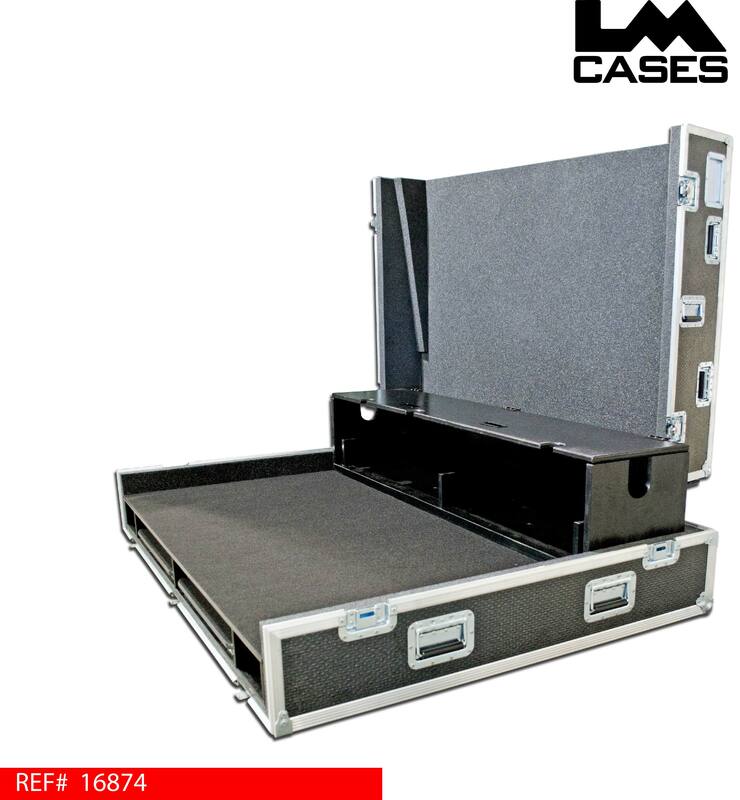 This case was designed for Maryland Sound International. 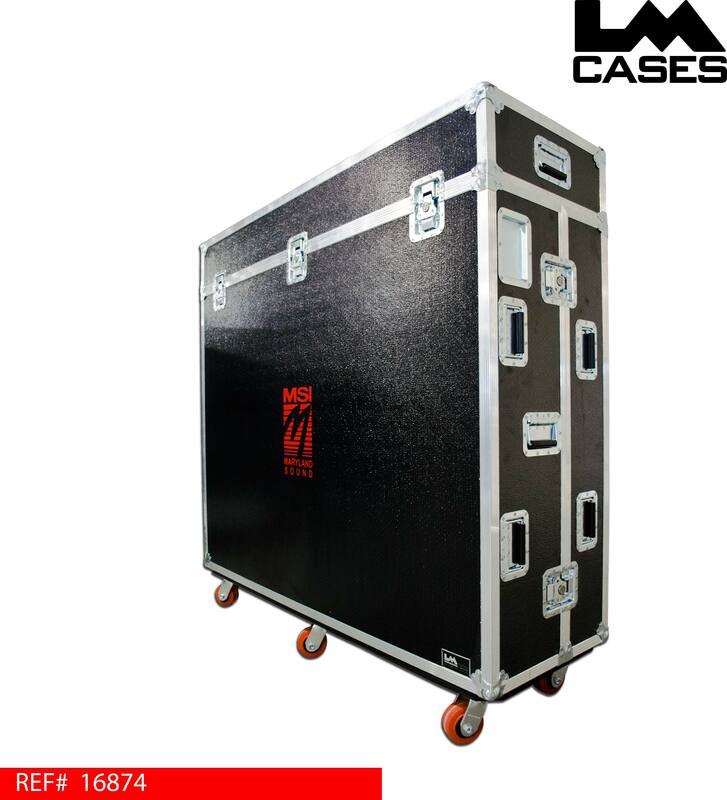 The case is built out of 1/2" plywood laminated with Armor-Tuf fiberglass. The case features a 10" Birch doghouse, 2 slide out keyboard shelves mounted on Accuride glides, 14 Handles, 4" x 2" HD casters, a recessed PAL label dish, recessed asset bar code dishes and a custom silkscreen of the MSI logo.